Seta is a name that will be familiar to SNES owners thanks to the firm's well-recieved Exhaust Heat / F1 Race of Champions titles and the Castlevania-inspired Nosferatu. During the N64 era the firm pledged its support to Nintendo with a raft of titles including Wild Choppers (Chopper Attack in the west) and a version of Tetris, and even went as far as to create an arcade platform based on the N64 called Aleck 64. Seta's output diminished towards the end of the '90s due to financial problems, and one of the games which had to be sacrificed was the promising Rev Limit. Looking like a cross between Ridge Racer and Gran Turismo, it boasted a wide range of cars and some impressive graphics but never saw the light of day, despite rumours that development was going to be shifted to the 64DD add-on or released on the aforementioned Aleck 64. While some presumed the title was largely unfinished, a prototype has been discovered which proves Rev Limit exists in a playable state. Interestingly, the title screen on this version states 1999 as the copyright date, which is surprising as many assumed that the game had been canned the year before. Given the quality of the game, it's a real shame that we never got to play this on our N64 consoles. Ah, gameplay video! This looks like something I would have picked up for sure back then, loved arcade racing games and there weren't many good non-Nintendo ones on the N64. Hard to believe this is an N64 title, especially considering games like F1 World Grand Prix II looking nowhere near as tasty as this. I remember reading about this in magazines at the time. Didn't realise it never came out. Very good game engine considering its a N64 game. Kinda weird that it got cancelled. @Shiryu Did u like Crusin USA and that Volkswagen Beetle racing game? It's name escapes me at the moment. What about San Fransisco USA? I thought the 64 had some killer racing games. My love for the genre died with the 64. @outsider83 Indeed, it did. I own "Bettle Adventure Racing" and "San Francisco Rush 2049", they're both brilliant. "Ridge Racer 64" is also one of my favorites of the whole franchise. It's a shame they never saw fit to finish this because what's there is a very solid foundation for a potentially great little racer. I didn't listen but that sure looked like tap, tap, tap gameplay. Why not use the analog stick. Maybe they didn't implement it yet? I so would've got this game though. I had just about every racer the N64 had. I remember reading about this and then hoping for a release! Then it got canned, I was devastated. Had heaps of promise, now I'm even more saddened after watching this. Still, I have Chopper Attack CIB and it's a great game. I have all those games you mentioned still complete, great racers. I also have the rare Aussie version of Beetle Adventure Racing called HSV Adventure Racing, same game just with Holden cars replacing the VW's, oh, and a god awful Aussie accent voice over guy. If it was purely a contest of the best looking racer on N64, then World Driver Championship would win hands down. But the controls weren't all that, unfortunately. This looks very impressive for a n N64 racer. Not quite up to par with Gran Turismo for realism or Sega Rally for smoothness, but looks like it could have been the best "realistic" car racer on the N64. Always found it weird how few "normal car" racers there were on the system. I liked Mario Kart 64, Wave Race, 1080, Micro Machines etc. but it felt like the genre was missing. Ridge Racer 64 was good but took many years to come out. Beetle Adventure Racing had great courses but it was more a novelty racer. The Cruisin' series and WDC were the only real option for a while & they couldn't compare with racers for the PSX, Saturn or 486 PC. There was a dearth of fighting games as well. Again strange as there were so many quality options for the other systems. Of course, the N64 had many quality games, just not in the two "main" categories of 3D racer & fighter. (This was before FPS & 3rd person action games became prevalent). @KiWiiU ! I had no clue that even existed. I shall dig into that. One of the missing gems from my N64 collection is actually an Australia only game: the PAL version of "Starcraft 64". Yeah, it has a slightly different cover too. I'm lucky enough to actually have bought StarCraft 64 for $80 Australian about 3 years ago, now it sells for $1200! I'm collecting CIB N64 games, PAL Australian versions, 140 down, become an obsession. I hope that the owner of this prototype releases the rom. Then we can at least enjoy it on Everdrives and the like. Doesn't look like it approaches World Driver Championship from a technical standpoint, but nice graphics just the same and definitely above average. Test Drive Rally was the N64 racer that I was most sad to see cancelled. Looked great in the screenshots that outlets like IGN released and reportably played and ran very well. And what makes it all the more tantalizing was that this developer behind Test Drive Rally, before EA acquired them and they became a full-time Battlefield studio, was the developer behind RalliSport Challenge 1 & 2. With how well those turned out, it makes me even more confident that this one was also going to be an excellent game. Hopefully a playable prototype of that one surfaces as well. I hate it when I work on something and then it doesn't get used or the project changes and that work is no longer required. I cannot imagine how devastating it must be when you put months, or even years, into making a game that never gets released. Especially if it is down to financial troubles rather than the game being of poor quality. really cool stuff! hopefully there'll be a video showing the 2p mode. @AlexOlney I'm sure I would have picked this up at the time, I played basically all the racers on 64. I sometimes wonder if Nintendo have some kind of hatred of racing sims. The SNES had my favourite racers of its era and the N64 never really embraced 'realistic' racers. Even 20 years on I don't really know of any decent racers on Nintendo besides a few NFS games. I wonder if anyone could finish it and release it as homebrew. (Don't laugh, there are many Intellivision games to which that treatment has been given). Surprisingly good Drop Distance for Nintendo 64. My favorite game of course for Nintendo 64 is Ridge Racer 64, but I really wish this game would have been completed. @outsider83 San Francisco Rush and rush 2 on n64 did not age well. Playing Rush 2 and RR64 back to back is like night and day. @KiWiiU I got 52 CIB PALNintendo 64 cartridges. I ddidn't collected them, these were all bought back in the day. I dare not even look up today's prices. I remember this game. I remember that they were really struggling with the N64 hardware and had to ask Nintendo for technical help on this game and just ran out of time. For years I've been trying to remember the name of this game to as I couldn't remember what happened to it. @mid_55 Totally agreed on World Driver Championship: that looks many times as good as this. Besides being the best looking racer, it's arguably also one of the best looking games on the N64 in general. How can one mention Seta without Bio Force Ape (its most famous game that was never even released)? @ThanosReXXX Hi mate. Just had a look at the list on Wikipedia and it kind of backs up what I was saying - if you look at that list and try to find standard "normal cars" racing games, I could only find 16 - and that's if you stretch it to include F1 games. Many fantastic "novelty/specialist" racing games (I already mentioned games like Wave Race, Mario Kart etc. above, but I could also add F-Zero, Extreme G 1/2 & the Rush series as ones I played a lot and enjoyed) but a comparitive lack of normal racers - a genre that was extremely prevalent on the other formats, and therefore presumably very popular. Of course, it doesn't help that the best "normal" racers didn't come out until late in the N64 library. Most of the early ones (Cruisin USA, TGR, WDC) did not review well, especially when compared to the (admittedly very strong) competition at the time. At launch and for the first year or so there was no car racing game to compete with the other systems. The situation was even worse with fighters - I'd argue that there was never a traditional 3D fighter on N64 that came close to Tekken/Soul Blade/Virtua Fighter 2/Fighting Vipers, nor a 2D fighter to rival any of Capcom or SNKs output on the otehr systems. Of course Smash Brothers was fantastic, and KIGold was an ok port, but again at launch in 1996/7, the N64 had no fighter at all, and no decent prospects on the horizon. All the early titles being previewed as "coming soon" (Mace, WarGods, MKT) were underwhelming. I personally bought an N64 at launch and loved Mario 64 to death - basically lived in the game for a year, so I didn't need any other games. I would eventually get a whole tonne of fantastic adventure, platform & fps games, and some cool novelty racers & extreme sports games. But the Playstation and Saturn had both launched with impressive conversions of arcade fighters and racers that were pulling big audiences in arcades and effectively advertising the systems. By the time the N64 came out, there were many games in the genres on both systems that had significantly improved upon those launch titles and by 1998/99 the PS1 in particular had many games which technically outshone what developers were managing on the Nintendo system, making it look underpowered and under supported. Honestly, if there had been a good arcade racer and fighter in the launch line-up to support great original titles like Mario 64 & Pilotwings, the N64 would have had a much faster and wider mainstream acceptance. Weird watching an N64 game running at a decent frame rate although realise the game is unfinished! There is an ad for Rev Limit in the manual for the Japanese N64 game St. Andrews, which is also made by Seta. Must have been close to a release. @samuelvictor True, the other platforms, or rather: the PS1, had a lot more racers and fighting games, but a lot of them were rubbish or of the a dime a dozen type. And personally, I don't care much for reviews. I use them only as a minor indication, and more to see pictures and/or videos, and then I'll make up my own mind by play-testing it in my regular game shop or at a friend's house, if he already happens to have the game. My favorite realistic/semi-realistic racers on the N64 were V-Rally, Top Gear Rally (all three, and they really weren't as bad as reviews apparently made them out to be) World Driver Championship (even though it had a steep learning curve due to the less than friendly car physics and controls), Formula One Grand Prix 1 & 2, Beetle Adventure Racing, Off Road Challenge, MRC: Multi-Racing Championship and F1 Racing Championship. As far as fighters go, I've personally always been partial to Mortal Kombat, no matter which game, even though some were significantly better than others, but for a solid fighting experience on the N64 I can personally recommend the Fighter's Destiny games. Great mechanics, good gameplay. Not much of a looker, but back then, Tekken on PSX wasn't much better, and I also played that regularly at a friend's house. I thought that Fighter's Destiny was a more than decent replacement for people that only owned an N64, and as a former judoka/karateka, I also liked the points system and rules in the games. Killer Instinct was a good one for the 2D fighter fans, as well as the Mortal Kombat Trilogy, and Flying Dragon is one to buy if you either have an NTSC system or a region converter available. And personally, I also rather enjoyed the Xena Warrior Princess game. Decent fighter, decent graphics, and some interesting special powers for each character. And back then we also had the TV show so it was cool to be able to play a game based on that. Custom Robo and Bio F.R.E.A.K.S. were also decent, if somewhat more complicated due to the somewhat over-complicated control schemes, due to all the various weapons and so on. But all in all, more than enough to do on the N64. And then there were also the arcade racers, so I've had more than enough fun with the system, and to this day still have many favorite titles on there. @ThanosReXXX Yeah I'd forgotten that V-Rally came out on N64. Decent game for PS1 (though I prefered Sega Rally and Colin McCrae) so I assume it was similar. I know it came out a little later - PS ports always seemed to be delayed - Wipeout, Destruction Derby & especially Ridge Racer were delayed much later than they should have been. TBH many of the racing games you mentioned didn't do much for me, but by 1998/99 I was lucky enough to have a N64, PS1, Saturn and a decent PC, then eventually Dreamcast, so I was spoiled for choice. I had a whole lot of fun with Beetle Adventure Racing though, that game was awesome, great tracks [edit - just noticed you mentioned Off Road Challenge - I actually had a lot of fun with that one too! ] Also of course I loved the other non-traditional racing games I mentioned - I put countless hours into multiplayer Mario Kart 64 - still play that and Wave Race regularly to this day. Other than Smash Bros and Killer Instinct, no fighters really clicked with me on N64. I did play Fighters Destiny at friends houses and had fun, but not enough to convince me to move away from VF2 & Dead or Alive on Saturn or Tekken 2/3 & Soul Blade on PS1... weirdly I also loved FX Fighter on PC, though that has not held up so well! I'm a huge fan of early Mortal Kombat games, but the N64 version of Trilogy was pretty poor compared to the PS1 and Saturn ports. The lack of load times did not make up for how severely it was compromised. Of course, if it was the only system you owned, it was still a fun game, but I was very disapointed as I wanted it to be the best version, and it clearly wasn't. MK4 and Sub Zero Mythologies were pretty poor no matter what you played them on, unfortunately. Again, from my perspective there was more than enough to play and enjoy on N64, including some of my favourite ever games. But especially for the first year of release in the UK, releases were few and far between, and often disapointing compared to the competition. This looks surprisingly decent. I remember following the story of this in N64 Magazine (UK). They had still shots first and were drooling over it, then they played it at (I think) Spaceworld 1997 and were crushingly disappointed by its awful framerate. Given the N64 was struggling for racing games at the time Nintendo started helping with its development but then it disappeared. This looks better than N64 mag suggested so I guess work had continued on it. It's also odd to think the N64 was short of racing games at one point as it nearly drowned under them eventually though as @samuelvictor says, not that many realistic car racers to compete with Gran Turismo, TOCA, Ferrari F355 etc. @ThanosReXXX seriously? You like 2049 over rr64? @samuelvictor I'd have to take your word for it. I don't know if the UK situation was different from mainland Europe, and I didn't buy my N64 at launch, but months later. As for the ports of games arriving later: True, but most of them were far superior to their PSX counterparts, both in graphics and in controls. Good examples of that are Ridge Racer, Hydro Thunder and WipeOut. And I truly hated the PSX's "heat wave effect" that always occurred on the 3D graphics. The N64 had rock solid 3D, with none of those shenanigans, which was due to it having floating-point calculation, whereas the PSX had fixed-point calculation, making 3D graphics "jump" and ripple. @Danrenfroe2016 Yes. I prefer the controls, and besides the obvious benefits of it being able to use the Expansion Pak, it also had more to offer in track variety and vehicles. @ThanosReXXX You were certainly better off waiting to buy the N64 - it dropped in price significantly in the first 6 months, and you wouldn't have been affected quite so badly by the extreme lack of titles to start off with. However, I did not regret my purchase for a second - I'd been in love with Mario 64 since the Shoshinkai Show in 95, and after many, many delays, when it was finally available in the UK in March 97 I got it at launch, and pretty much only played that one game every day for a year - til I'd discovered absolutely everything and 101% completed it without using guides/tips. Very fond memories indeed! You are certainly right that the N64 versions were often better than the PS1 versions. In addition to the ones you mentioned, Resident Evil 2 was excellent, and Micro Machines 64 was better - even if just for the AA and lack of loading times. My next system from that generation was a Saturn, which I loved. At the time it was definitely the underdog system, so picking up a system and most games second hand was very cheap. I eventually bought a PS1 as well, and was pretty horrified by the texture warping that you are talking about. 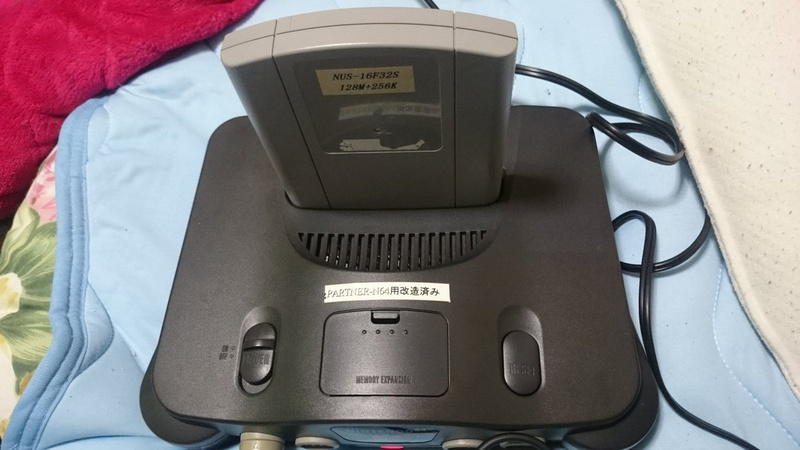 Its really, really ugly looking, and neither the N64 nor Saturn did it. The early games like the first Ridge Racer were especially bad, and also had some pretty hideous clipping and jumping issues as you mentioned. However, if you can learn to ignore the glitches, plenty of the latter PSX games were very impressive - Gran Turismo games, MGS, FF7/8/9, Tekken 2/3, Crash Bandicoot 2/3, WipEout 2097 & 3... It was also great to play the Resident Evil and Tomb Raider sequels that sadly never made it to Saturn. Overall it was a fantastic generation and I found games that I loved on all 3 main consoles. Also a great time for PC games! Though I wish I was younger now, I am truly grateful for having been a teen in the mid to late 90s! And I did like quite a few PSX games, regardless of the heat wave effect, AND the textures made up from ministeck tiles, but I never bought one. A lot of my friends had one, so if I wanted to play Crash Bandicoot or the other parts of WipeOut, then I would just visit them. And my model 1 Dreamcast can also play PSX games and makes them look quite a bit better, courtesy of Bleemcast. Hmm PSX emulation is something that I've meant to get into. I love that generation but because of the relative difficulty in emulating the 64 and Saturn properly (though these have massively improved recently) I was holding off. I've heard that PS1 is much, much easier to emulate accurately though. I remember Bleemcast during its development - from what I heard there were several different non-retail versions dedicated to 20 or so games each, as well as the 3 single game versions released. Playing PSX games on Dreamcast is obviously really cool, but the relative complexity and the lack of dual analogue sticks and only 2 shoulder buttons slightly put me off taking it as a serious option. Now PSX games on Wii? (presumably also on the WiiU in Wii mode?) That does sound tempting! @samuelvictor And there were indeed three "commercially" released Bleemcast games, but after the cease and desist from Sony, homebrewers took over and made several versions of Bleemcast that worked with nearly every PSX game. The only difference is that the three original Bleemcast games were discs with Bleem included, so they auto-booted into PSX mode, and the homebrew versions are only available as separate boot discs, so you need burnt copies of PSX games to run them. The game forums I mentioned to you a couple of times before have more than enough info on both programs. And be sure to skip the "download the emulator from the homebrew channel" part if it's mentioned in any of the videos, because that is the standard, unmodded emulator that doesn't work with external HDD's. The rest of the instructions are the same. I've found that many of the big titles work almost flawlessly, so Crash Bandicoot games, Tomb Raider, Metal Gear, WipeOut, Ridge Racer, the Spyro games and so on play like a dream. On the HDD, make a folder called WiiSX, and in that folder, make another two folders, named isos and bios. In the bios folder, put the two Playstation bios files called SCPH1001.bin and SCPH1002.bin and in the isos folder the games, obviously. In bin format, as you can see in the picture. You can also see a cue sheet folder there, but that is not really needed. I just have it there for any optional disc burning purposes. I saw some tutorials mentioning putting the cue sheets in the folder with the isos, but they work just fine without them. Good luck and let me know when you've got it up and running. @samuelvictor And yes, I use an old OS on my PC meant for emulating and downloading purposes. @ThanosReXXX Thanks mate! This combined with Nintendon't stuff in the dolphin thread give me a lot to play around with! @samuelvictor All 5 games are great. There's two arcade Mario Kart games, the arcade version of F-Zero GX, which is called F-Zero AX, and then there are two Virtua Striker games. The iso zone has the entire list in one bundle. @samuelvictor And it's actually not just Nintendo hardware: it's also partially based on the Naomi board from Sega. It's a custom arcade board, which makes it all the more special that a homebrew program designed for GameCube games can actually run them. And maybe you already know, but the Triforce name comes from the three companies involved: Nintendo, Sega, Namco. Fun fact: what you will instantly notice on the Mario Kart games is that the sprites/karts are bigger and the tracks are completely different with the weirdest power ups and the graphics in general are slightly better than GameCube's. @ThanosReXXX Thanks man. Yeah I was aware that the hardware was somehow releated to Naomi as well, and indeed teh triforce name. 3 of the biggest gaming companies of all time combining? So cool. A shame that more games weren't made for it.